AMSTERDAM- Kyadondo East MP Robert Kyagulanyi also known as Bobi Wine has castigated Police over the impunity and stringent measures put on him as he returns home on Thursday. 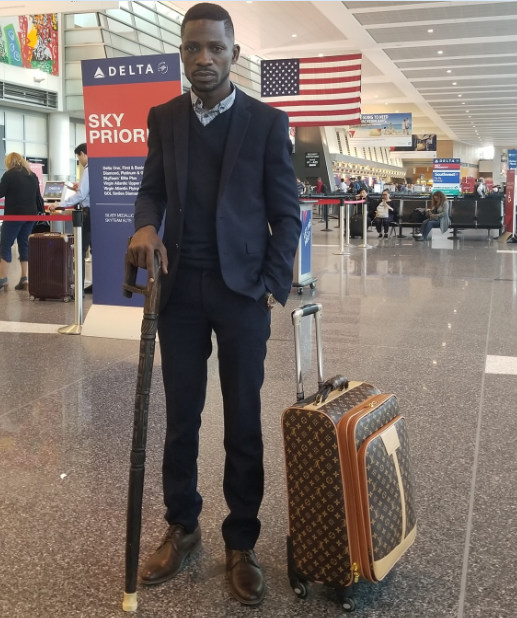 Bobi Wine who made a stopover in capital Amsterdam, Netherlands from United States where had he travelled for specialised treatment following his violent arrest in Arua on August 13 in which he has continuously accused soldiers of the presidential guard under the Special Forces Command (SFC) of torturing him while in military detention, has attacked police officers saying they want to decide who picks him and where he goes go upon arrival. 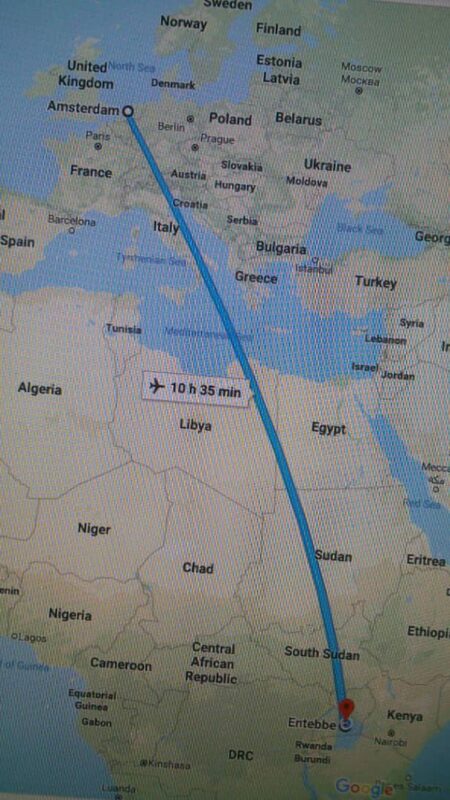 Photo illustrates the distance from Amsterdam, Netherlands to Entebbe, Uganda. “Police and other security agencies have the intelligence of countrywide mobilization of different groups of people who are being distributed with Red T-Shirts and posters calling upon them to participate in processions and assemblies to receive the Bobi Wine but we are ready for them,” Kayima said. However, Bobi wine has responded to police orders with a travel plan contrary to that issued by police earlier. “The police has no business telling me who receives me and who cannot or where I go and where I cannot. This impunity must stop! Wama see you, friends, tomorrow,” he added.